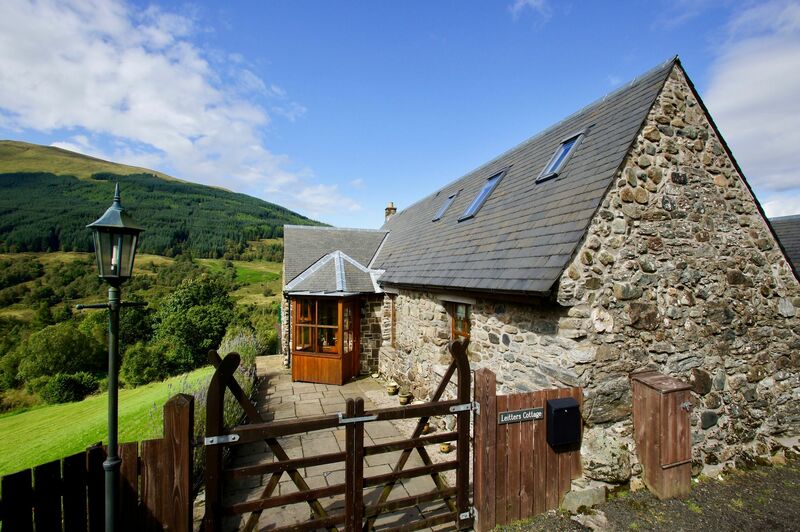 Cooper Cottages bring together a selection of self catering accommodation in beautiful locations within the Breadalbane area of the Loch Lomond and Trossachs National Park and surrounding areas. The holiday homes in Balquhidder, Callander, Comrie, Killin and Lochearnhead, sleep 2 to 9 people comfortably, and all are well equipped. Each cottage is personally inspected to ensure that cleanliness and good service are standard. Each holiday cottage has its own individual Scottish charm; if you are looking for a family holiday in Scotland, a village, rural, or loch side location we have a cottage for you. We pride ourselves in finding accommodation in Scotland to suit individual requirements. If you are a walker, there are numerous trails in the National Park, as well as the popular Munros for the more ambitious: you are a short drive from Ben Vorlich, Ben More, Ben Lawers and Ben Lomond. The local lochs and rivers can be fished, with permits available locally. From 15th March to 15th October Loch Earn is a popular fishing area. There is much to do and see in the area, many historical sites to visit and photograph, music festivals and highland games to enjoy in summer, or simply relax in this area of outstanding natural beauty. A choice of golf clubs that welcome visitors can be found at Callander, Comrie, Killin and St Fillans. The Sustrans national cycle route 7 passes through Callander, Lochearnhead and Killin on the way to Pitlochry. The annual Highland Games at Lochearnhead and Killin attracts visitors from around the globe.